Starting with this round of anime scores, I’m changing up the scoring system, reducing it from 1-10 to 1-5. This way, the scores from here on out will be more a more accurate summation of my thoughts while being more meaningful as well. I’ll admit, it was hard for me to take Madoka Magica seriously in the beginning with its cutesy art style and the carefree attitude of the characters. It wasn’t until the third episode that the tone shifted and the show became progressively more dark and morbid. The story and character development is the best part of the show by far. The animation during the Witch Labyrinth sequences had an extremely colorful and distorted look to them, but these strange scenes ultimately distinguished Madoka Magica and gave it its own unique style. The best thing about Parasyte is its ability to consistently improve with each episode. The character development Shinichi gets is extremely well done and is one of the best parts of the show. The action, while not great at first, gets better once Migi stops doing all of the work. The parasite transformations are appropriately terrifying, and the escalation of tension between the humans and parasites is great as well. The high school setting is virtually ignored, which I especially appreciated since it allowed the plot to focus more heavily on the rising tensions between the humans and parasites. I enjoyed the finale because of how personal it was to Shinichi’s character. The dub step soundtrack can be hard to get used to at first, but it gives Parasyte its own unique sound. 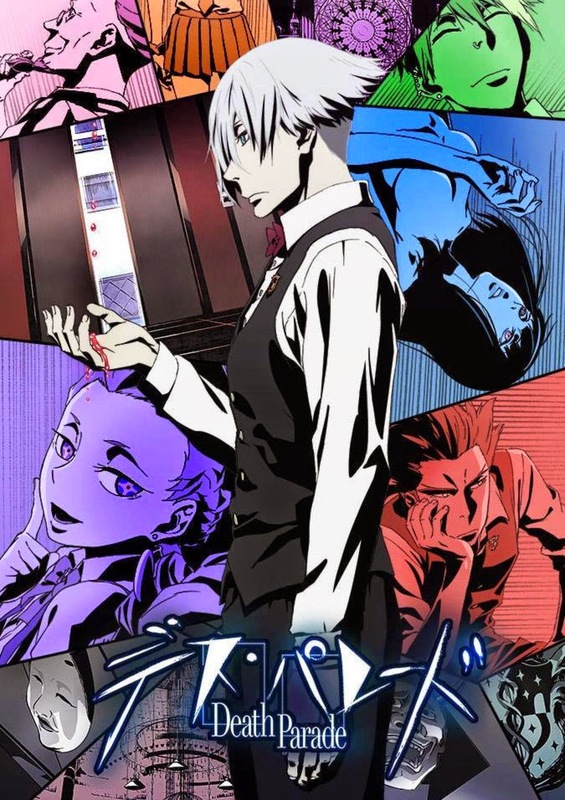 The premise of Death Parade is fascinating and accompanied with colorful and crisp animation. The show is able to successfully mix comedy and tragedy and creates memorable episodes. The series is much too short, but the story lining the show makes it worth the lack of episodes in favor of an engaging and creative narrative. The eerie soundtrack contributes to the atmosphere and excellently sets the tone for each episode. It’s hard to watch a show when your favorite character isn’t the main protagonist, and that’s the problem I had with Garo. Leon, despite being the main character, spends the majority of the show being a stick in the mud and quick to anger, personality traits that created many problems in the show. It made me repeatedly wish that Prince Alfonso, my personal favorite, was the main character instead. Not only is the rest of the cast not great, but the story is also much more confusing than it should be and is told poorly. The animation was pretty good, although the 3D armor felt clunky and slowed down action scenes that were otherwise fun to watch without it. Garo has a rough start and while it does manage to have some cool moments, overall it’s not very good. I watched Digimon several years ago, and after hearing about the 2015 season returning to the main cast of characters, it seemed only fair to score the first season. My nostalgia has a lot to do with how I remember this show, and the story of the digital world piqued my interest, especially after the revelation that if the characters die in the digital world, they die in the real one. The villains of the show tend to oscillate between being pretty well-written for a children’s anime and awful (Elvis monkey, my mind goes to you). Overall, this show has its moments, and my nostalgia of it only makes me more excited for the new 2015 show. I’m open to watching as many different anime shows as I can, so if you have recommendations, let me know in the comments!